East Kilbride Community Trust (EKCT) has submitted a Pre-Application Consultation Report to South Lanarkshire Council for the development of a new 4000-seater multi-purpose Community Stadium on land at Hurlawcrook Road, East Kilbride, which will have a major economic impact on the town and create new jobs. The report includes an overview summarising the successful outcome of a Public Exhibition held on Thursday, 19th November 2015 at the K-Park Training Academy, where 99% of those who filled out a questionnaire overwhelmingly supported the plans. The exhibition gave people from East Kilbride and further afield the chance to find out more about the plans for the Community Stadium, which will feature an 11-a–side football pitch, Fitness & Well-being Rehabilitation Suite, boxing and martial arts club, multi sports hall, which will also accommodate children with additional support needs, a conference room and facilities for sports training and mentoring. Plans for the new Community Stadium follow on from the hugely successful K-Park Training Academy, which is used by over 100 football teams, charities, businesses and visitors to Calderglen Country Park. 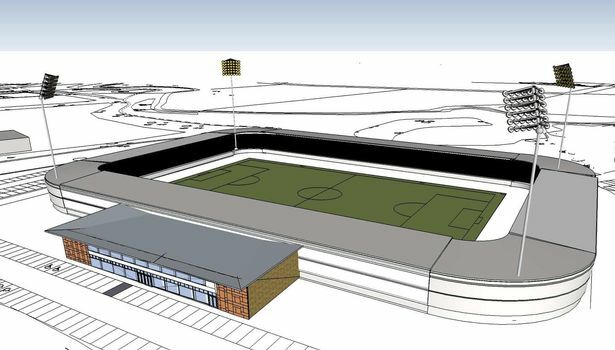 Monique McAdams, Chief Executive of EKCT, said: “We are absolutely delighted with the support we’ve received so far with our plans for the new Community Stadium. To get such positive feedback from so many people who attended the Exhibition was incredible but not overly surprising as this is definitely something East Kilbride needs. It was really nice to meet and speak to so many people during this consultation process who are really excited about the overall plans, jobs and economic growth it will bring to the town, which is much needed.